Wonderful opportunity to join a great company with a friendly staff. My client in Dallas, TX is looking to hire a Receptionist on a direct hire basis. 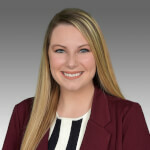 Emily Longsworth works with Frontline Source Group as a Talent Executive who specializes in full-desk recruitment for clients and candidates across the country. Working nationwide allows her to truly understand what the job market is like, and she knows how to present her candidates’ skills to be in the most competitive position going into interviews. Whether you are searching for your next opportunity or if you need to locate top-quality talent, Emily will be dedicated to your search! Connect with her today for more info. Our process is designed to save you time. There’s no need to come in to register. All you need to do is submit your resume through the “Search Jobs” link or the “Upload Resume” link. If you are a fit for this role, and have additional questions, please reach out to Emily directly below.